Day 47-51: Long weekends make me happy. I originally planned to go back home to Kentucky for Memorial Day, but ended up doing a staycation instead. I got so much stuff done around the house–I wish I had a four-day workweek all the time. My house would be spotless! For Memorial Day, my boyfriend and I relaxed and grilled veggie kebabs. This long weekend was the perfect blend of work and play. Day 52: Office days make me happy. This was my first day back after the long weekend and I’m so glad I didn’t have to jump into teaching right away. Having the time to get through my backlog of email and work on projects (with quickly approaching deadlines) was a great way to come back from vacation. Day 53: Lifelong friends make me happy. I’ve known my best friend (Gabby) since fourth grade. We went through middle and high school together, but ended up at different colleges and now live in different states. Our bond is still just as strong though; she is the sister I never had. We chatted on the phone and it was like no time had passed, even though the last time I saw her was at Christmas. I’m so happy that she’s still in my life after all these years! Seeing New Kids on the Block and Backstreet Boys–we dreamed of this day since we were kids! Day 46: Having available funds makes me happy. Now, please don’t think I’m jumping for joy at paying damn near five hundos for this repair job. Y’all know I’d rather spend that money on makeup and snacks! But I am thankful that I had the funds to cover this unexpected expense. I worry about money constantly, but my worries aren’t nearly as severe as they could be. There are plenty of people here in America today who are struggling to find money to get their next meal or clothes and shoes for their kids. Across the globe, people are walking miles for clean water and dying from curable diseases because they don’t have access to basic healthcare. 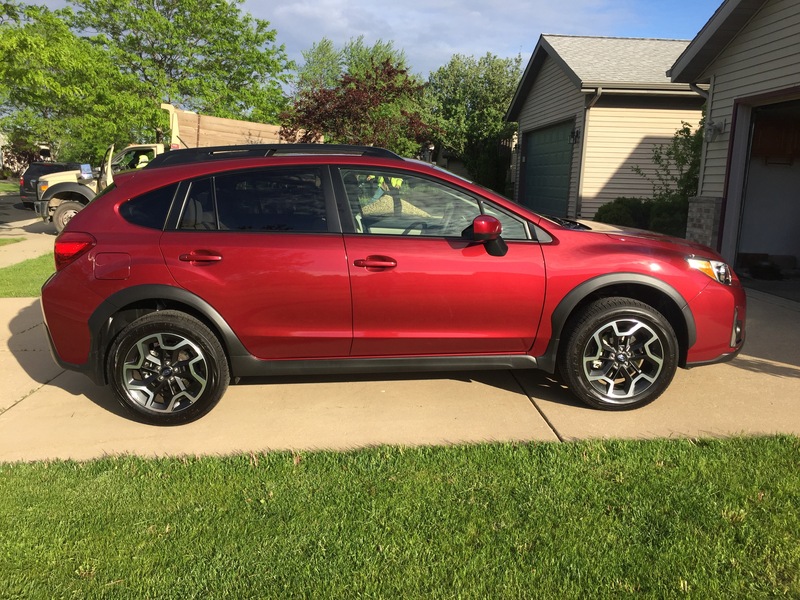 So, I’m happy that I had the funds in my bank account to cover this expense. I’m not rich, but I do have enough, and that’s a lot more than some have. Day 38: Pictures from kids make me happy. On occasion I’ll babysit my officemate’s kids, and the oldest colored these awesome pictures for me! The last time I babysat them was in February, so I brought some Valentine’s Day and Black History Month pictures for us to color together. Apparently they are still fun to color even in May (and she even told her mommy the story of Rosa Parks as she was coloring it)! Look at these cute pictures! She did a great job staying in the lines. Day 31: Fresh clean sheets make me happy. Making the bed is one of my least favorite chores–always has been. But there is nothing quite like climbing into a bed with freshly laundered sheets on it. Hopefully I will sleep easier and have sweeter dreams. Bonus: I made breakfast for dinner tonight and it turned out really well! It was a late dinner that I honestly didn’t feel like cooking (I had just gotten in from the gym) but it tasted great. 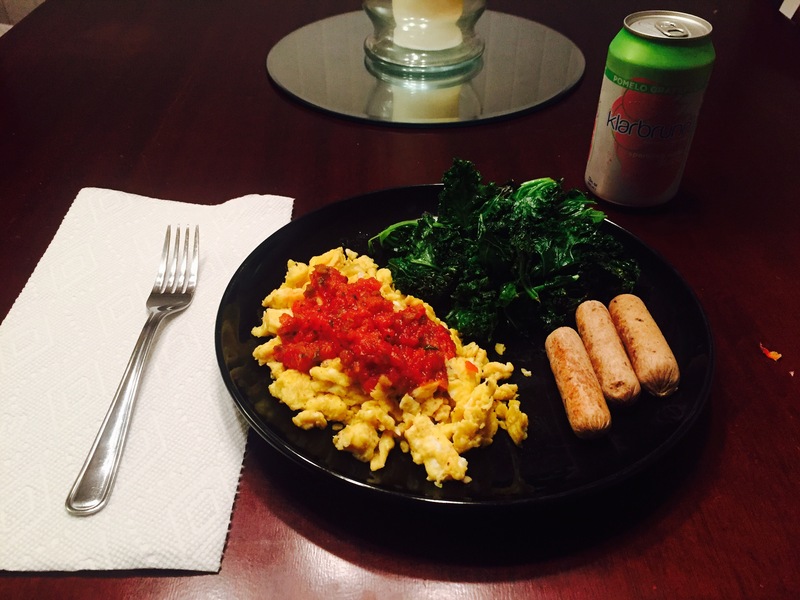 Scrambled eggs with salsa, kale, and vegetarian sausage links–all I was missing were some hot biscuits!